Restaurant Brands International Inc. (QSR) ie Tim Hortons, the wonder Canadian fast food chain/brand. 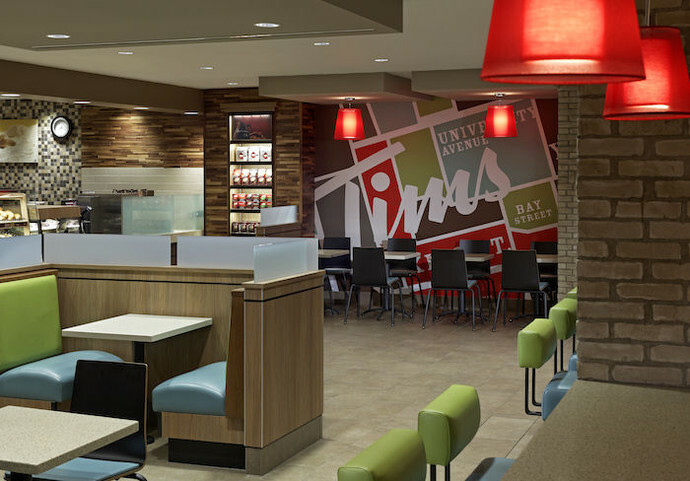 First from an Operational Standpoint, what makes Tim Hortons stand out. If you can get a Chicken Salad Sandwich for $3.60 would you buy it? This is a sandwich about 80% the size of a footlong at Subway and actual tastes great. Have you ever tried a Chicken Salad Sandwich which is good? 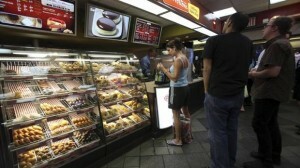 I havent, until I went to Tim Hortons. Getting a sandwich for under $4 dollars is ridiculous not to mention the size of this sandwich. will definitely do the trick, and its cheap too, at around$1.25 – $1.50. Pershing Square the best performing hedge fund in the world last year (made 40%+) bought a 19% stake in (QSR) Tim Hortons in the last month (wow). Warren Buffett co-sponsored the leverage buyout with a 9 – 10% loan which allowed http://www.3g-capital.com/ the private equity firm to buy Tim Hortons and has now listed it on the stock market as Restaurant Brands International Inc. (QSR) Warren Buffetts company Berkshire Hathaway did pick up 4% of this stock in the last month. You must remember even though this is a relatively new issue, it use to be listed I believe as Tim Hortons in Canada and the US and was subsequently bought by 3G Capital. So the PE ratio isnt stated on Google Finance, ie here https://www.google.com/finance?q=TSE%3AQSR&ei=1WSvVNnoGe7FiwLW2IBo . As a note Warren Buffett is worth $70 billion and one of the owners of 3G Capital is worth $20 billion, so your investing with people who know exactly what they are doing, EXACTLY. Comments are appreciated and any will be used to make this piece better and subsequent pieces better.